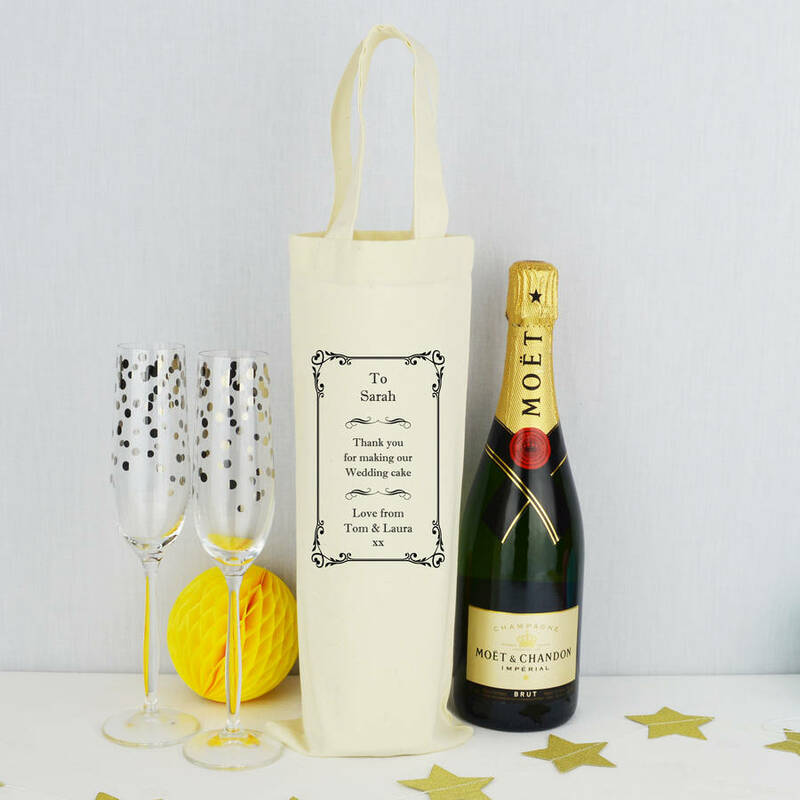 Our Bottle Bag's are the perfect way to give a gift of Wine or Champagne in to anyone. 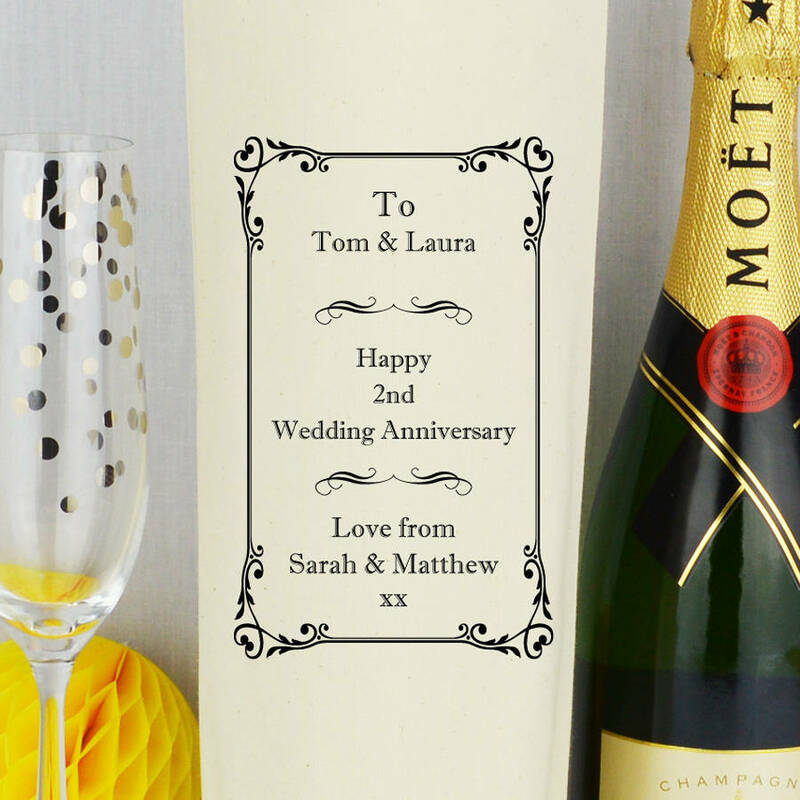 If it is for an Engagement, Wedding or Anniversary, these make such a gorgeous keepsake! If someone has played a special part at your Wedding Day this also makes such a personal way to say thank you to them, maybe your Bridesmaid, Mother of the Bride, Mother of the Groom, Best Man or Usher. These make the perfect gift for any occasion, Birthdays, Valentines, Christmas, Weddings, Anniversaries, Easter, Mother's Day, Father's Day, or if you just want to treat a special family member or friend! 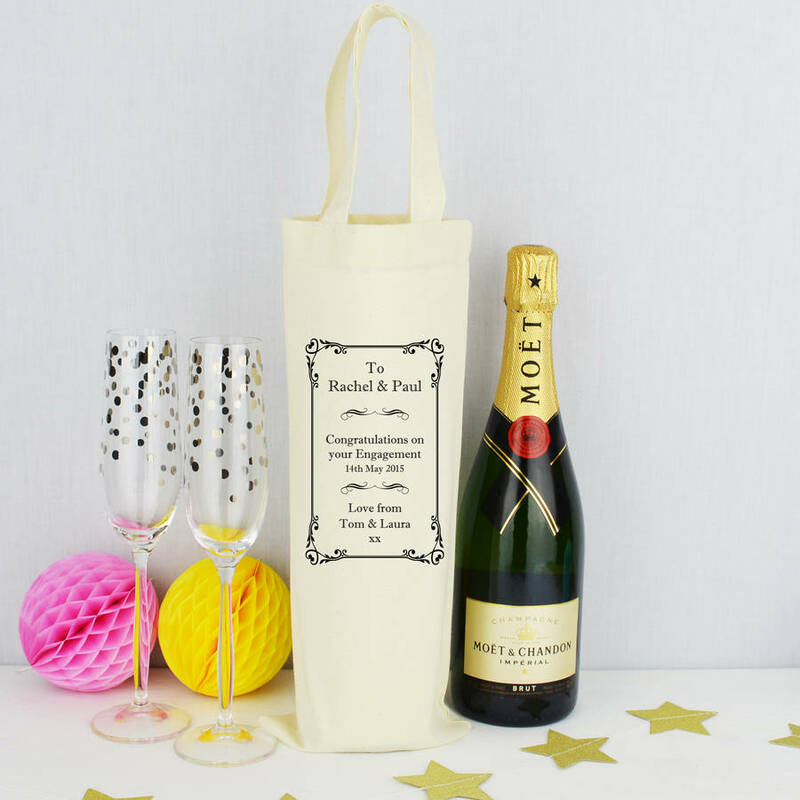 They even make a great gift for Teachers! Can be customised with any wording at no extra cost.